Antiques may belong to a celebrity or specific period in history. Well protected objects may gain antique value over time. Some people creates a collection of things they find it beautiful, some people collects things which they know that they will be valuable over time. After a while pieces of this collection gain antique value. 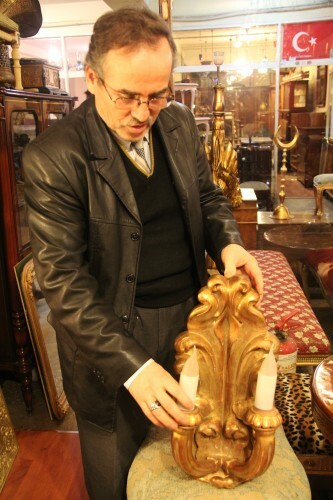 Another tradesman from the bazaar, Walter Koch, 62 years old German antiquarian is married to a Turkish woman and maintain this profession which was also profession of his father-in-law at the bazaar in Horhor, Aksaray. Saying that antiques can be named after their date and production place, Koch “Antiques used to be cheap. Only non-Muslim people would use it. Turks would not know their value. We witness stories of people who does not know about the value of their objects and give it to junk dealer in exchange of latch. People are not aware of the value of their work of arts and antiques. 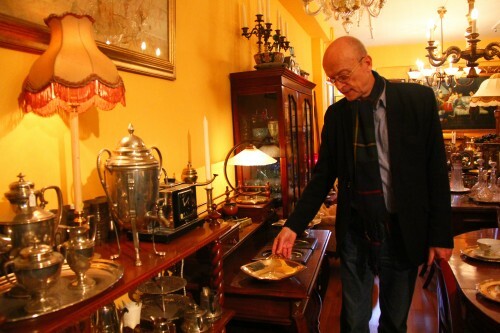 Koch collects Ottoman tin soldiers from all around the world and exhibit in his store. Every one of the samples from every status of the palace and the army from sultans to vizier, from janissary to gunners, is a work of fine craftsmanship. Koch tells how he collected the soldiers: “I have a brother-in-law. He picks up English and French soldiers. These tin soldiers are much anticipated in Germany and England. My brother in law has 5 thousand French soldier right now. I asked him if he has soldiers from Ottoman army. He said that he get sometimes though rarely these tin soldiers. I wanted him to collect them for me because they belong to this land. Turks have a saying that “Taş yerinde ağırdır” (A person’s true worth is appreciated by those who know him well). So I brought them to their native land. I wanted to make Ottoman live here. If I’d find an Ottoman painting, I’d bring it here. As well as individual customers, companies are also interested in tin soldiers. Some schools and municipalities who know about the soldiers knocked Walter Koch’s door. Koch says that he is happy with it and adds: “These are historical values. Ottoman values and people who live here should be aware of these. Interest of the schools and municipalities is very beautiful. They think of making a showcase and exhibit in it. We are in touch about the subject. Celebrities are also interested and they buy it. For instance Ozan Güven bought 45 janissaries from me.